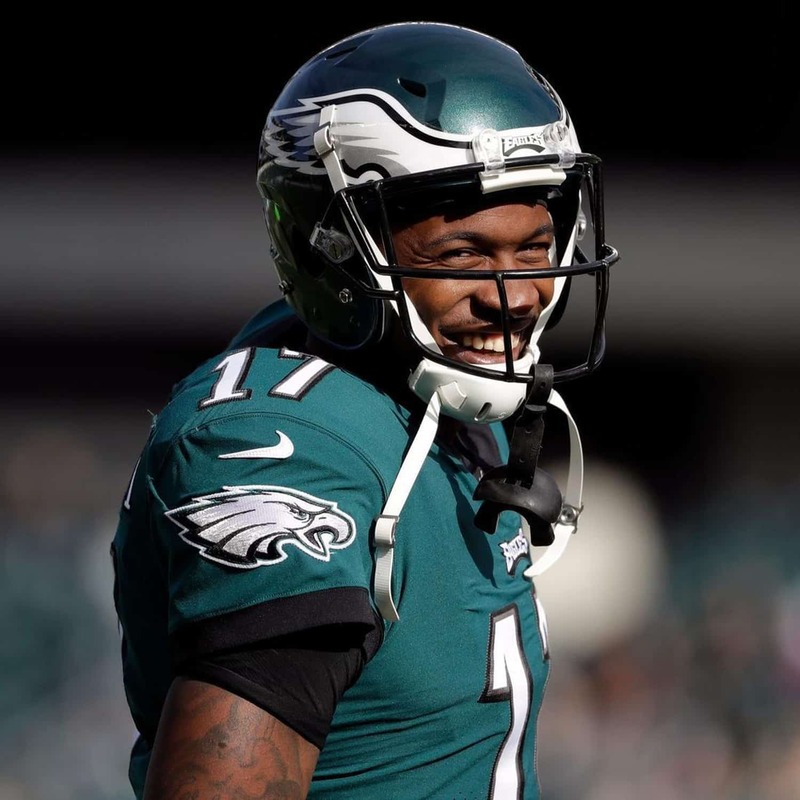 **Alshon Jeffery is a Fanatics Exclusive Athlete** Alshon Jeffery is an American football wide receiver for the Philadelphia Eagles of the National Football League (NFL). He played college football at South Carolina, and was drafted by the Chicago Bears in the second round of the 2012 NFL Draft. Jeffery amassed 4,549 receiving yards and 304 receptions during his five-year career with the Bears. He possesses the third most receiving yards in Bears franchise history. In March 2017, Jeffery signed with the Philadelphia Eagles and he made his Eagles debut in the season opener against the Washington Redskins. The Eagles finished the season 13-3 and earned a first round bye. In the Divisional Round against the Atlanta Falcons, Jeffery recorded 4 catches for 61 yards in a 15-10 victory. In the NFC Championship Game against the Minnesota Vikings, Jeffery caught 5 passes for 85 yards and 2 touchdowns in 38-7 victory to advance to Super Bowl LII. In the Super Bowl, Jeffery caught 3 passes for 73 yards and scored the first touchdown of the game. The Eagles went on to defeat the New England Patriots 41-33 to give Jeffery and the franchise its first Super Bowl championship.